This former war hero served only one month after taking the Oath of Office before passing away. 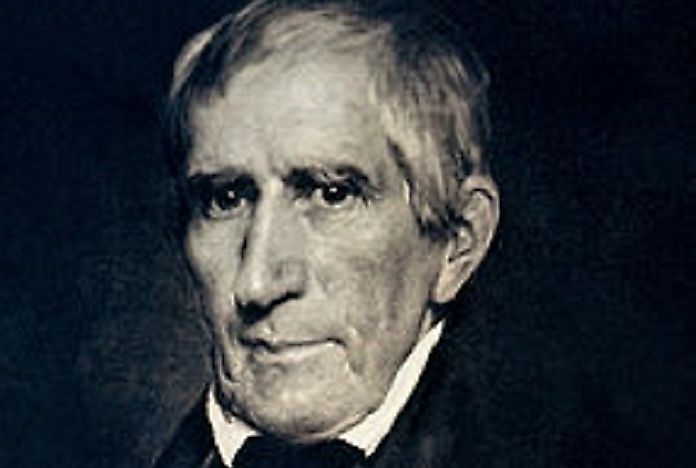 William Henry Harrison served the shortest term of all U.S. Presidents, and was the first to die in office. William Henry Harrison was born on February 9th, 1773, in Charles City County, Virginia, to a family that was active in politics. His father was one of Virginia's delegates to the Continental Congress, and a signer of the Declaration of Independence. Hence young Harrison became interested in politics himself from a very early age. He studied History and the Classics at the Presbyterian Hampden-Syndey College before then being transferred by his father to University of Pennsylvania to study Medicine when he was only 17. He did not enjoy the subject and, after his father passed away a year later, Harris left the school and joined the Army. He served as a Lieutenant in the Infantry Regiment, fighting in the Northwest Indian Wars in the last decade of the 18th Century. Harrison left the Army in 1798, and entered the political arena shortly thereafter. At that time, he was elected to be the Secretary for the Northwest Territory's territorial government. Then, in 1799, he won a seat in the U.S. Congress as an at-large delegate for the territory. During his term, he helped to pass legislation that divided the existing territory into the Northwest and Indiana Territories, and subsequently served as the Governor of Indiana Territory from 1801 to 1813. He returned to Ohio and served that state in the U.S. House of Representatives from 1816 to 1819, as an Ohio State Senator from 1819 to 1821, and then as an Ohio U.S. Senator beginning in 1825. He ran for the U.S. Presidency as the Whig candidate in 1836, but lost to the Democratic candidate, Van Buren. Running for the office once again in 1840, Harrison was elected as the 9th President of the United States. Because Harrison was not elected until his later years in life, and died soon after his Presidential Inauguration, most of his contributions as a politician were actually accomplished before his Presidency began. He was known for his effective command in the War of 1812 against the British and in the indigenous rebellions of the Native Americans who were often allied to the British. His men killed one of the latter's most important leaders, the Shawnee warrior Tecumseh, when they pursued him into Ontario, Canada. After the war, indigenous peoples were no longer considered to pose a serious threat to settlement of the Northwest Territory. He was campaigned as a war hero, which helped him to win the Presidential Election with a landslide victory. As U.S. President, he initiated the tradition of holding a special session of Congress to discuss U.S. Federal fiscal policies. Nonetheless, he was unable to make any substantial reforms before he died shortly after taking office. When Harrison was serving as the Territorial Governor of Indiana, he attempted to repeal Article 6 of the Northwest Ordinance, in an attempt to permit slavery in the Indiana Territory. This motion was met with serious opposition, not only from abolitionists within the legislature, but also from people who were concerned with maintaining balance within the country, which was being increasingly divided over the issue of slavery. Ultimately, the amendment did not pass. After he was as elected U.S. President, Harrison had to face competition and factions within his own Whig party. Henry Clay, the leader of the Whig party, was expected to receive recognition and exert influence in Harrison's administration. Harrison rejected Clay's preferences nonetheless, and instead appointed Clay's enemy, Daniel Webster, to control the Whig Party, and in doing so caused discontent within the party, which lasted after Harrison's death until the Whig Party was dissolved in the 1850s. Harrison caught a cold right after his Presidential Inauguration in 1841. His condition worsened, eventually turning into pneumonia and pleurisy. He died on April 4th, 1841, in the White House. Though he served the shortest presidency term among all US presidents, his campaign strategies would have profound influences on campaign tactics in U.S. Presidential Elections to come. He appealed to the general public and appeared very friendly. He earned his primary reputation as a military hero in the War of 1812, and thusly a patriot who had defended the young country against Imperial British force and indigenous resistance. Many public places, schools and cities were named after him, and there is a commemorative statue of him in Indianapolis. His stances on slavery and relations with Native Americans are frowned upon by many scholars today. Many feel that the dissension he provoked within the Whig Party, especially over slavery, would contribute to the party's ultimate collapse in 1854, when it gave way to the new Republican Party, which remains a premiere U.S. political entity to this day.